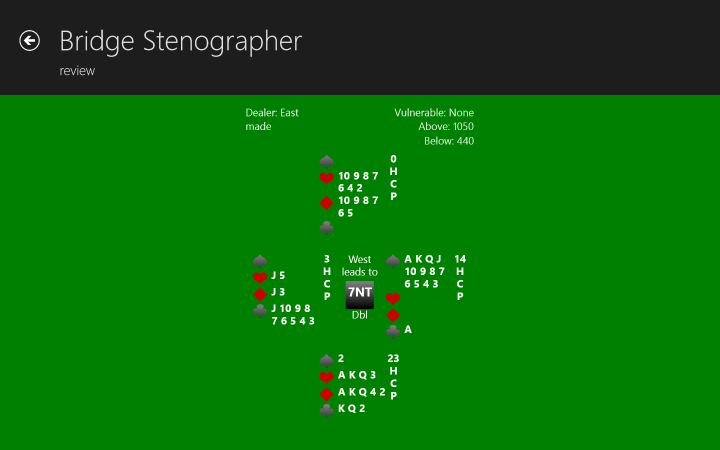 Bridge Stenographer allows you to record your bridge hands as they're played. As a metro style app, it has a fresh modern feel, so why not get started today, and improve your bridge by studying your hands after you've played them? Review your hands, send them to friends in PBN export format, and learn to play better. See the Help and FAQs page for more information.